BKF 2011 Custom Prism Up-Date! Berkeley Kite Fest 2011 Custom is the Micron! Our 27th Berkeley Kite Festival is just around the corner. The planets are beginning to align, our many volunteers are as busy as bees and my days are getting longer and longer. One thing for sure our BKF 2011 is going to be another amazing show, sharing the diversity of what we do with 25,000+ people over two days. Please join us if you can. Mark Reed from Prism Designs will be on hand both days on his Prism Demonstration Field. If you have never meet Mark you really should make a point of shaking hands with the mastermind of many of the kite products we all enjoy so much. Bring your favorite Prism kite and Mark will be happy to sign it! Mark and his team have made sort of a tradition of building a very limited set of Berkeley Kite Festival Custom Kites (BKF Customs). 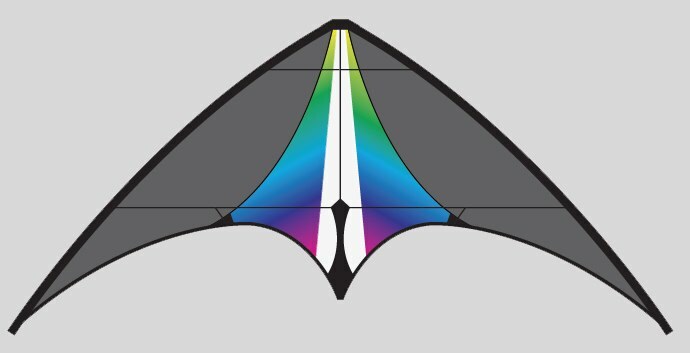 This year it seamed as though Prism might not be able to do BKF Customs for us this year but thankfully, Mark's Seattle team pulled out all the stops to guide these kites into production and make sure they would be ready on time. 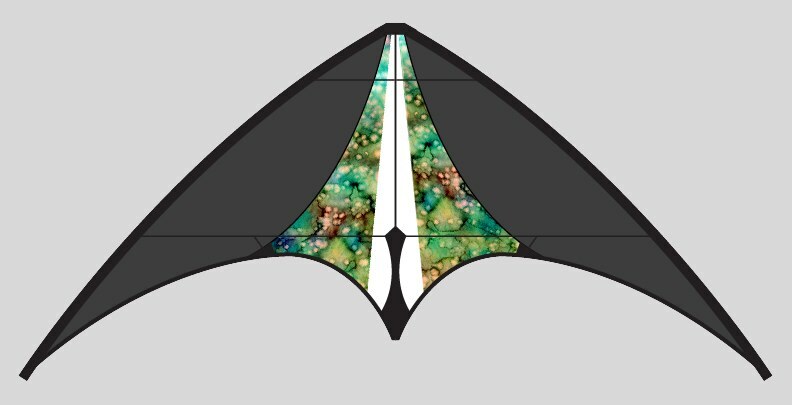 When Mark and Justin suggested we do custom Microns, a kite never customized for us before, we jumped at the chance. 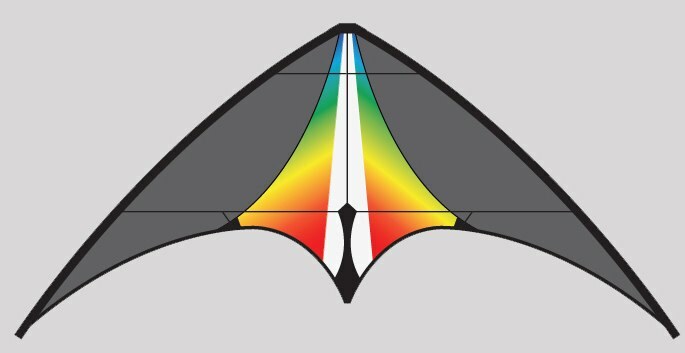 The Micron is one our favorite and kites because of its low price, this year's BKF Custom would be affordable enough for anyone looking for a very special special kite. They arrived last week and it has been killing us that we haven't gotten any images of these amazing kites up on our site. The really do look amazing. For now we will get the mock-ups here and hope we can get some photos up soon. 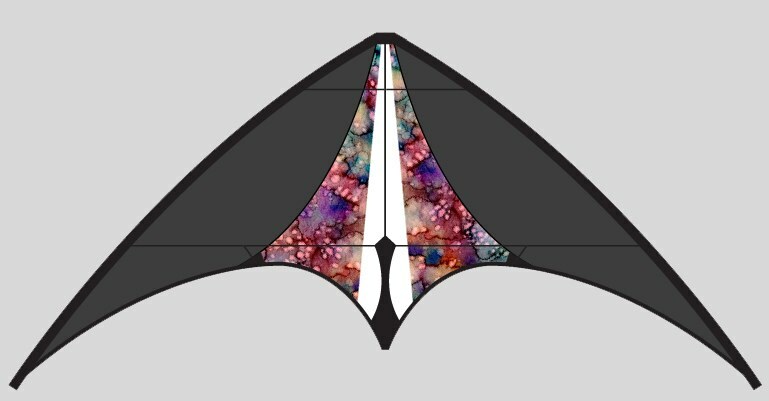 So here we are, one week from our BKF and the official release of this year's BKF Customs and we are finally ready to share how amazing these new kites look. Each kite is signed by Prism's Seattle crew, come in a beautiful new case as well as line and finger straps. All of the custom fabric was designed by us and printed our friend Ken Konrad at Great Winds Kites in Seattle. There will are five different customs in all the first three are: Jade Nebula, Red Lava, and Blue Nebula and numbers four and five are Fire Fade and Ice Fade. All signed and numbered no more than 15 of a color were made. Though final pricing is not set yet, look for them in our on-line store by the end of the week.